You need money and you need it fast. You have a good reason for how you want to use the money. The only problem is that you have had your own share of credit issues over recent years. Bad credit seems to be haunting you. There is no need to worry. You can potentially qualify for a bad credit loan to help pay your bills. There are loans for bad credit available to tons of people just like you in a similar situation. For people who might not have the sparkling credit history necessary for a traditional installment loan from the bank, these loan packages are just the right fit. In essence, if you fit into any of these previously mentioned groups of people, a personal loan no credit check would fit well into your personal financial plan. Your previous financial disasters do not have to determine or devastate your future with a grim picture. Things can look different for you once you have obtained one of these loans for bad credit. Making the decision to use the loan to start off your new life with the type of support that will reap benefits for years down the road. Do not let your past credit history haunt you for the rest of your life. Find out more about loans for bad credit today and start building for your future. Bad credit does not have to limit your financial outlook on your future. You can get online loans with no credit check applicants with easy qualifications. The money that you need can be yours, easy and fast. You may have been turned down by traditional lenders like banks or thrift and loan institutions. You may have needed to resort to a payday loan online with the very high interest rates that accompany it. When it comes to their loans, the screening process eliminates those without near-perfect credit. Those who do receive a loan offer are usually shocked by the higher interest rates with limited loan amounts. You can get online loans for bad credit that are nothing like traditional loans. These personal loans are for terms up to 18 months, not for extensive periods of time that leave you locked in for the long term. Unlike traditional loans, these personal online loans are offered at competitive fixed interest rates. Just those two facts alone make getting one of these online loans with bad credit appealing. You do not have to go through all kinds of the red tape to qualify for these personal loans online for bad credit. These personal loans for bad credit online have some simple qualifications to help make them available to people with credit. By meeting the outlined criteria, you can get on your way to rebuilding your financial foundation with one of these loans online bad credit history and all . There are no specific restrictions on how you use the money from one of these loans online for bad credit. Be sure to get one of these personal online loans with bad credit. You no longer have to live with financial uncertainty. This is the type of personal loan that can help make a difference in you living beyond your financial history. When you need to quickly locate and connect to a lender offering the best bad credit quick loans that fit your situation, you can immediately get lost in a sea of online lender claiming to be the best. At Bonsai Finance, we can simplify the process and speed it up. We have detailed knowledge of hundreds of lenders of bad credit loans, and we have powerful, “granular” search engines that we can use to match you to your ideal lenders. Our representatives take the time to inform you of your options, explain to you what sets one lender apart from another, and ask you for the relevant information that will assist us in finding your perfect loan match. You might think that searching for bad credit loans online is easy because you can just do a Google search, but in fact, it would take a lot of time to research and compare all that comes up in the search results on your own. And a lot of the information will be confusing or not always easy to locate on the websites. At Bonsai Finance, we treat each and every customer we serve with dignity and respect. We never pressure you into making a decision but simply help put the facts before you and explain to you their relevance to your situation, based on the information you’ve given us. Even among bad credit lenders, there are differences in interest rates, fees, loan flexibility, the size of loan you can expect to be approved for, and the time you will be given to repay. We are your experts on the terms and conditions of different lenders. We are committed to helping you locate the loan and lender that are right for you. At Bonsai, we have helped numerous others with below average credit find a loan and lender that met their needs and got them through a financial rough spot. Our whole purpose in existing as a company is to facilitate this kind of “match-making.” And we stand ready to do for you what we have done for others. There are numerous options for people to borrow money these days, especially with the advent of the Internet. Online loans present new options for people of all walks of life. The Internet allows borrowers to research and request loans from all kinds of lenders with all sorts of loans, even at a wide variety of locations. There are all types of lenders out there. The rationale for different types of loans and lenders is that everyone is not the same. Some people need different types of loans for vastly differing scenarios and situations. Some need a loan with stellar and outstanding credit, while others are trying to get a loan with bad credit. There are all sorts of lenders. The types of lenders available can provide access to numerous loan options online. You may not fit the typical profile of a loan borrower but there is a loan available for you, too. With the online request process for many lenders, identifying the best fit loan for potential borrowers is a major asset. The online request process is simple and straightforward, making a match for borrowers a breeze. Borrowers can find a loan that fits their income and financial situation. The best options for those with bad credit are not necessarily traditional loans. Our process can identify a loan that would serve as a best fit for you based upon our screening process. You can qualify for this type of loan with bad credit, no credit and even limited credit. You can get a loan with competitive rates and clear cut terms for repayment. All that you need to keep in mind is that we are here to help you find personal loans that fit where you are in life today. There are a few reasons why people with bad or poor credit should avoid traditional lenders. 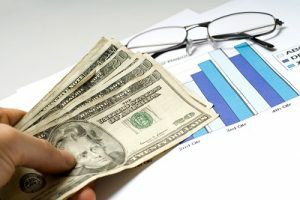 Most traditional lenders do not give loans to those with credit ratings under a certain score, meaning that if you have bad credit, you may not be able to get one of these types of loans at all. Even if you are able to find a traditional lender who is willing to work with you, there is a good chance that you are going to get hit with sky-high interest ratings and repayment terms that you may not be able to meet. Loans for people with bad credit may also be for greater sums of cash. A traditional lender may not want to give you the full loan you need, especially if they are worried about you being able to repay it in full. However, when you opt for a bad credit loan, there is a greater chance that you are going to get the amount of money you need, rather than a fraction of it. The process also goes by faster if you can complete the application and submit everything you need at the same time, rather than doing so in separate sessions. Be sure to keep your phone on and to check your email often in case your agent needs to get in touch with you to obtain additional information. Responding to inquiries and messages as soon as you can is another great way to speed up the loan process. When searching for bad credit loans, you have two main options: online or in-person. Turning to online bad credit loans is the preferred method for most borrowers. You can fill out your application on your own time, regardless of traditional office hours. Additionally, you can get matched with more lenders when you use online sources, giving you a better chance of getting the loan you want on terms you can live with. One of the biggest perks to getting bad credit loans is using the money to pay off existing debt. Many people even use the funds to consolidate several separate loans and cards into one payment. This can help boost your credit in two ways. First, outstanding and potentially older debt is paid off, reducing the number of creditors you need to deal with. Older debt often comes with exceptionally high interest rates. In some cases, the amount of interest owed has surpassed the principle. Paying off a loan like this can be a big boost to your credit rating.